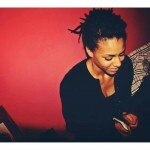 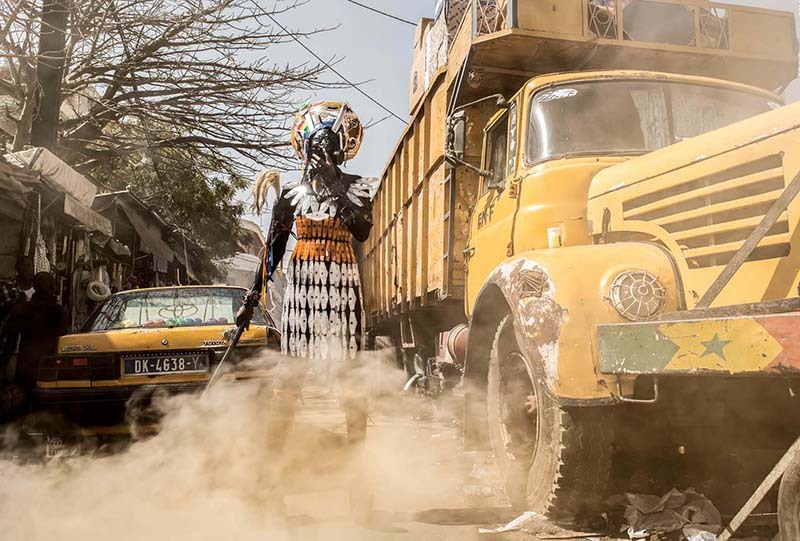 The Belgian-Beninese, Dakar-based photographer Fabrice Monteiro has shocked the world with his latest project, The Prophecy. 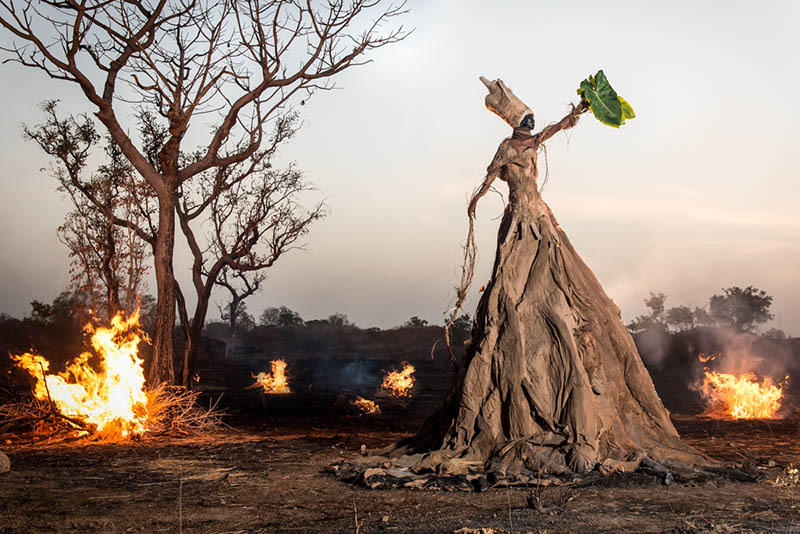 The series of pictures allegorically depict the environmental issues which our consumerist society is blatantly choosing to ignore, from global warming to pollution and climate change, shedding light on an important discourse that has never gone down too well in art and fashion. 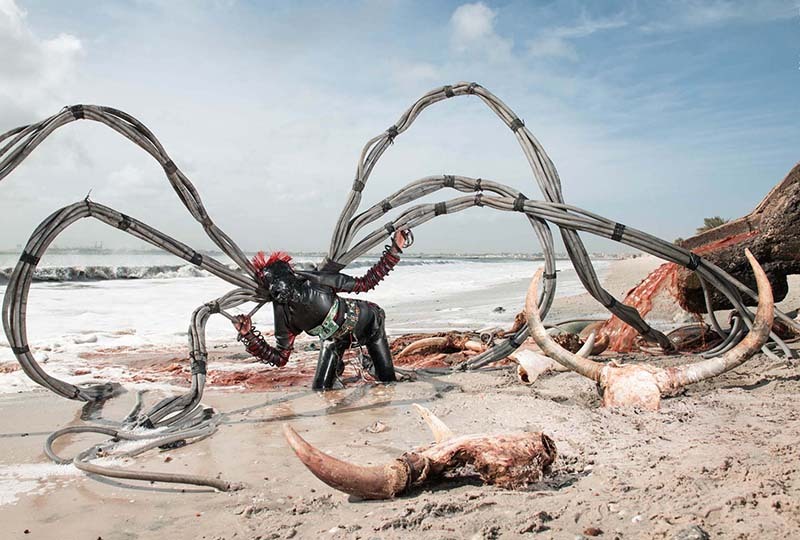 It is fair to say that things are changing, but remember the reactions to Franca Sozzani’s oil-inspired photo shooting by Steven Meisel on Vogue Italia? 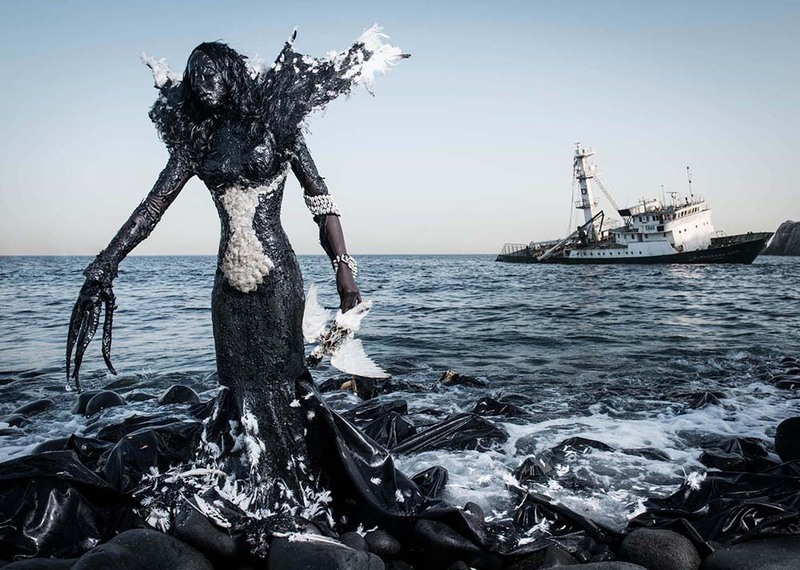 Industrial engineer by training brought up in Africa in the 80s, Fabrice Monteiro has always worked on the border between photo-reportage and fashion photography and these visually stunning photos are more than just a piece of art: “My initial idea was to create some sort of tale for kids that could be distributed in African schools and that would be based on traditional beliefs, especially animism – the belief in spirits. 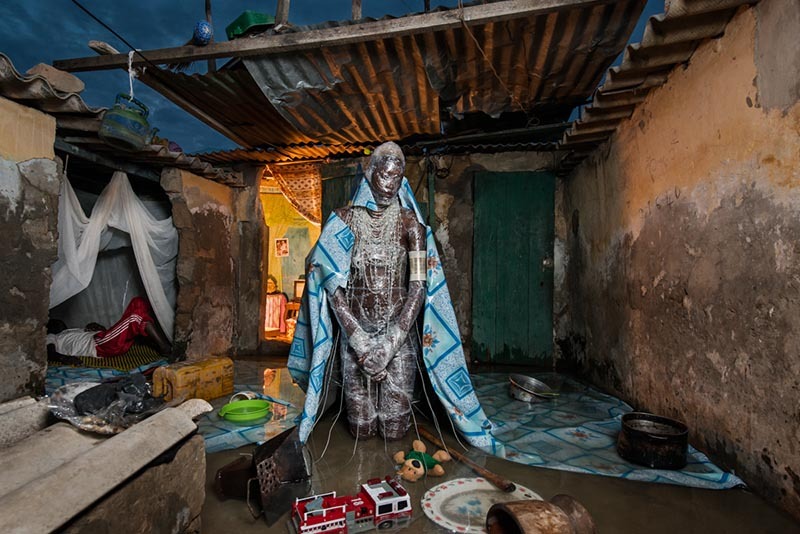 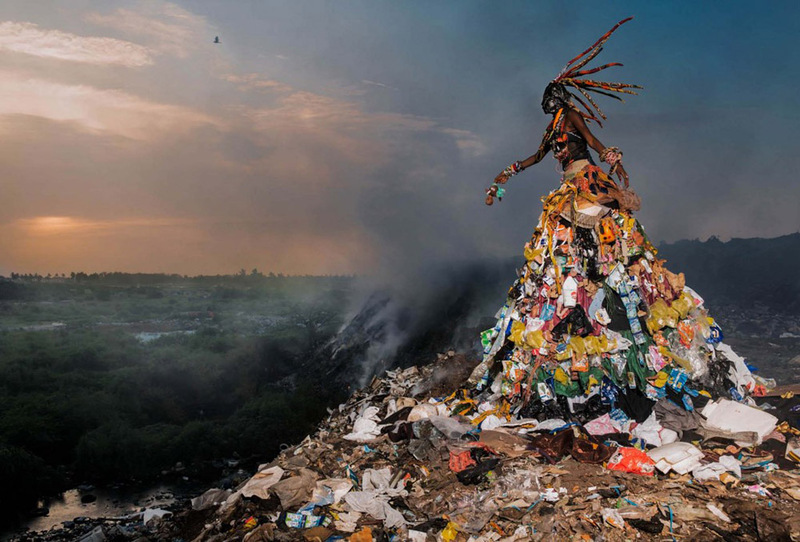 Each spirit depicted appears on a different site touching specifically upon one environmental issue– plastic waste, global warming… I shot nine prophecies in Senegal, but I want to start making these images all around the world – Africa was just the starting point for an issue that affects the entire planet,” he said. 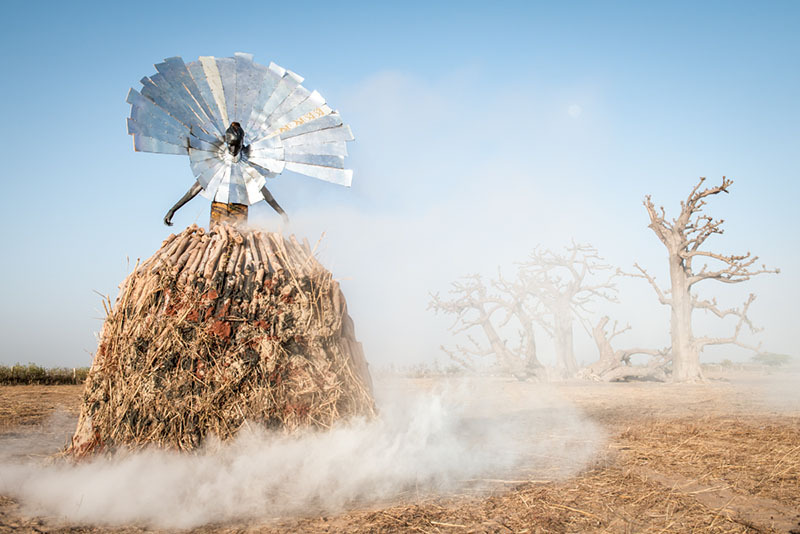 The costumes of Monteiro’s spirits were made with objects found at each location in collaboration with Senegalese fashion designer, Doulcy. 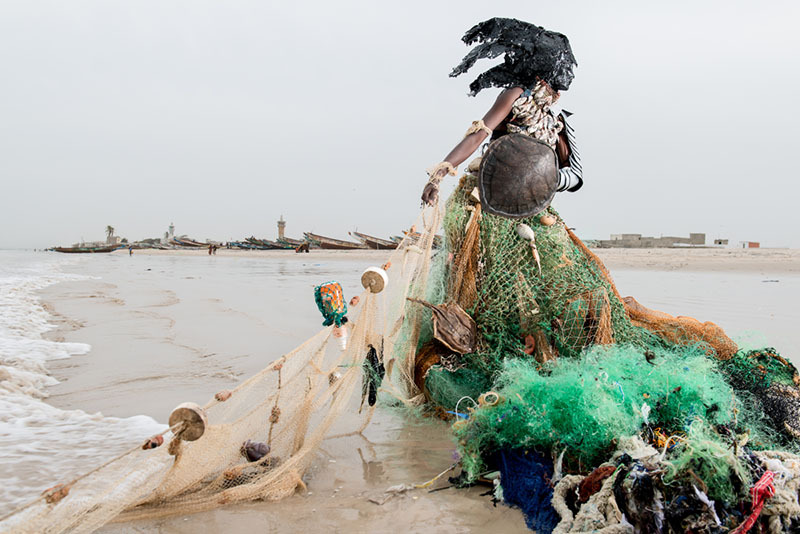 The photographer has travelled to the most polluted corners of the Continent to show us the harsh reality we need to acknowledge once and for all, to remind us of the long gone connection between all living creatures–human beings included–and the planet, and to stress the responsibility of all people, artists first and foremost, to address these crucial ecological issues.